David Oyelowo and Daniel Craig deliver predictably riveting performances in Sam Gold’s “Hurt Locker”-flavored production. The NYTW space has been transformed with plywood floors, walls, and bleachers all around with the soldiers’ barrack mattresses forming Andrew Lieberman’s principal set. Nicholas Hytner also utilized, at least partially, an updated military background for his brilliant 2013 National Theatre revival with its equally tremendous performances by Adrian Lester and Rory Kinnear, but on a large stage, there was room for more visual variety. 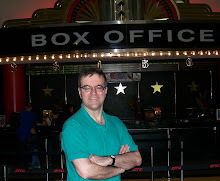 Much of the present production, though, is played in semi-darkness, and portions, such as the play’s opening minutes, are in total darkness as the play’s argument (i.e. Iago’s resentment of Othello) is laid out, a gimmick that wears a little thin. Elsewhere, in Jane Cox’s lighting design, the house lights are up. Gold seems to linger over the early scenes of Desdemona’s elopement with the Moor, while her father, Brabantio (Glenn Fitzgerald) warns Othello that she might someday betray him too, which, of course, sets the stage for what is to come. Oyelowo is simply sensational as his jealously, implanted so skillfully by Craig’s steely-eyed Iago, grips him totally. And his subsequent killing of Desdemona is as horrifying as any I’ve seen. Much as Shakespeare delights in the protracted revelations in his comedies, here the Bard relishes the revelation of Iago’s villainy and Emilia’s accusations of the Moor and defense of his slaughtered bride. Marsha Stephanie Blake as Emilia really shines in these scenes, as she spews forth her righteous indignation. As Desdemona, Rachel Brosnahan is no passive innocent but a feisty lady fully at home in the soldiers’ camp, though more than ever, one gets the sense she ought to be able to defend her accuser more persuasively. Accents vary from Oyelowo’s African cadence to Craig’s British articulation to the mostly Yankee accents elsewhere, including Fitzgerald, Matthew Maher’s lisping lovelorn Rodrigo, Finn Wittrock’s undone Cassio, Nikki Massoud’s Bianca, and David Wilson Barnes’ Duke and Lodovico. Still, all the performances are intelligent, and well serve Gold’s vision. 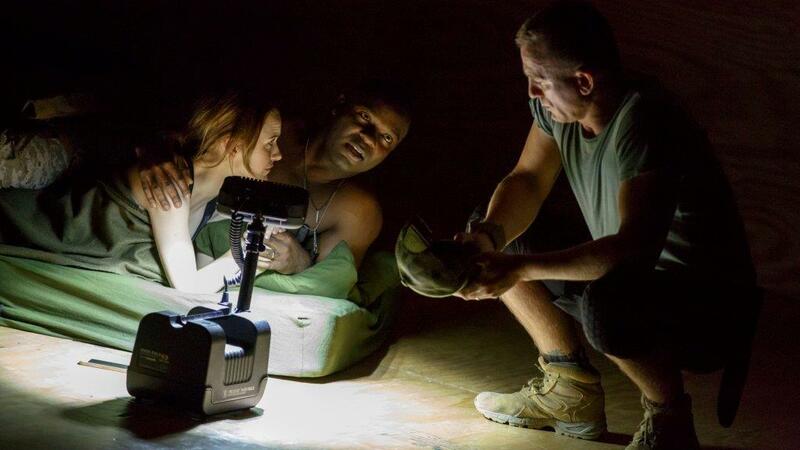 The play’s poetry, however, is best served by Oyelowo. The production is over three hours, and I can’t say it entirely flies by, especially while sitting on the tightly packed bleachers, but it’s never less than absorbing, particularly when the action escalates in the second half.